On Thursday 27 September 2018 Valiz and the Amsterdam Academy of Architecture will host a programme dedicated to the launch of the book entitled ‘Flourishing Foodscapes – Designing City Region Food Systems’. Flourishing Foodscapes is a book about the the social and spatial organization of networks and systems of food provisioning. It explores, highlights and discusses strategies and designs for creating future-proof city region food systems by addressing the social, economic, and ecological vulnerabilities and sustainabilities of current and future foodscapes, as well as how the spatial qualities of the rural and urban landscape and its use need to adapt and change. A key argument in the book is that food not only has to do with nutrition, but that it links up with and influences a multitude of domains; from health to (eating) culture and from employment to climate change. It has a major impact on the city (especially on consumption and distribution, and, to a lesser extent, on production) and on rural areas (mainly production), but also the relations between city and countryside, close by as well as far apart. Thinking about food-related problems and challenges is becoming increasingly important. These issues influence our planet and way of life, but also our everyday existence. Flourishing Foodscapes transcends the field of bottom-up initiatives and private projects. If we really want to design more sustainable food systems, we will have to think more structurally about changing food provisioning at different levels of scale. 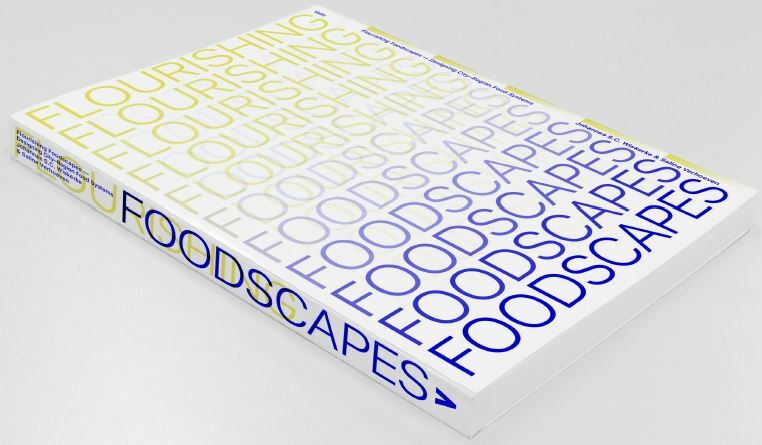 Flourishing Foodscapes links research, case studies and spatial design and takes a step towards a more comprehensive approach to food issues, building on inspiring practices, projects and designs from all over the world.